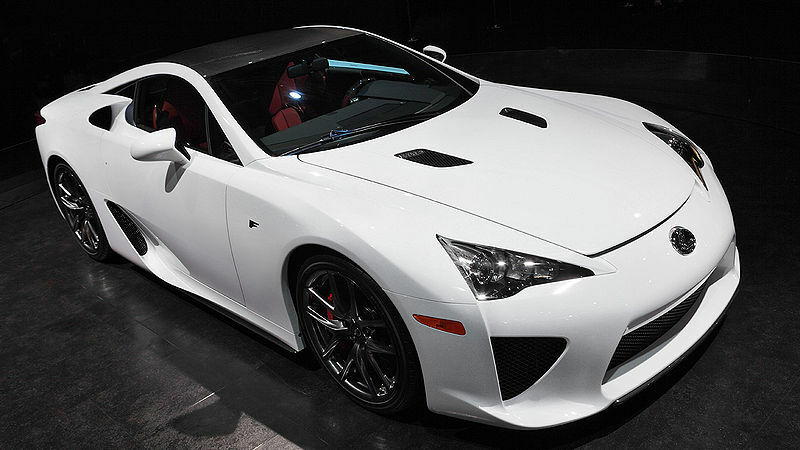 Additional Info: Very refined supercar, with lots of technological features. 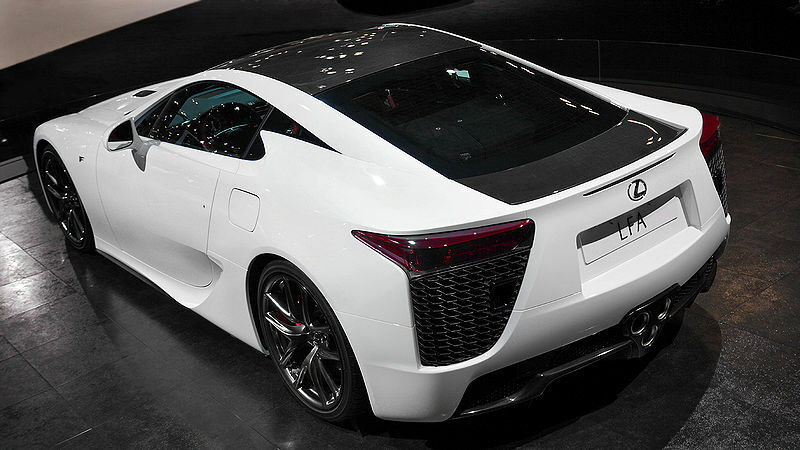 Uses an automated sequential gearbox (ASG) and has a carbon fibre reinforced plastic body and chassis. The exhaust note was tuned to sound like a formula one car. 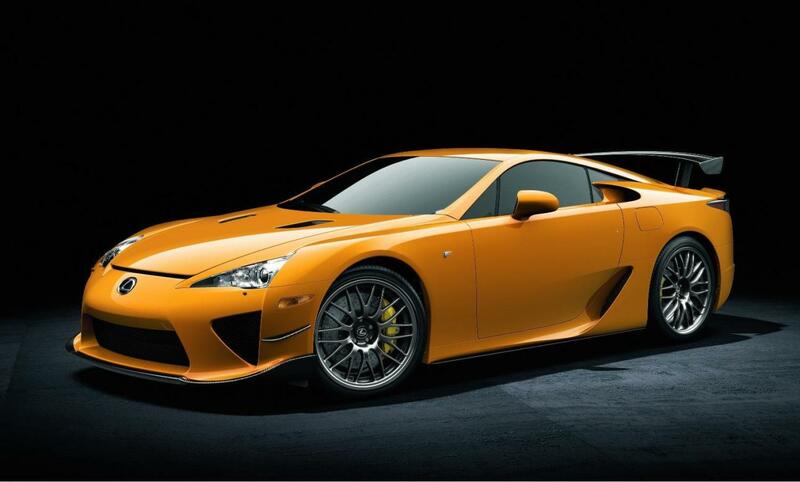 Only 500 to be built with owners being selected by Lexus from the list of orders received. Went around a wet Top Gear track in 1.22:8. 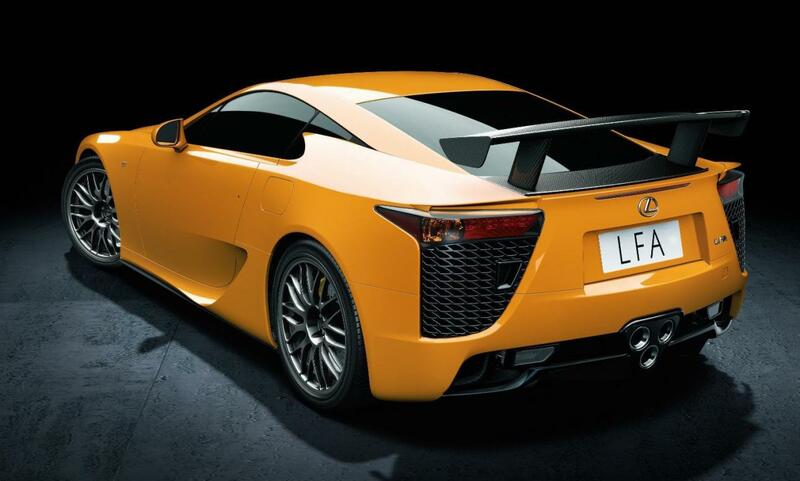 An LFA Nurburgring Edition is also available and adds another 10bhp, faster shifts, stiffer suspension and some aerodynamic additions to the bodywork.